Submitted Photo Pettit performing at a recital. Since he moved to Columbus to become a Buckeye, the community has rallied around native David Pettit, as he pursued his passion of piano and music while leading the Ohio State University Marching Band as the drum major. Pettit only recently graduated from Ohio State University (OSU) in piano performance. As a part his graduation requirements, Pettit performed an hour-long senior recital. The performance was held just weeks ago and consisted of many classical numbers, such as a Scarlatti Sonata, Beethoven’s Pathetique Sonata, a Rachmaninoff Prelude in G minor, and Gershwin’s Rhapsody in Blue. Pettit claimed that he had many people asking about performance times and location, but ultimately couldn’t make the trip. He has decided to bring the show to the community, however, and will perform the exact recital at Cornerstone later this month. He will also be bringing friends from OSU to perform the final number of Rhapsody in Blue with him. Pettit’s background in music goes all the way back to his early years of studying with local pianist Mary Smalley and many years with Stan Workman. Pettit says he is excited to be back and to have Workman at the event to assist. Pettit plans to return to OSU in the fall to study general medicine and will go on for a medical residence, followed by a career in medicine. Pettit says after five years in the marching band, he has no plans on returning to suit up as the baton twirling drum major, and will be focusing on his studies instead. “Music will always be a major part of my life, but I have no plans for it as of right now,” Pettit said. 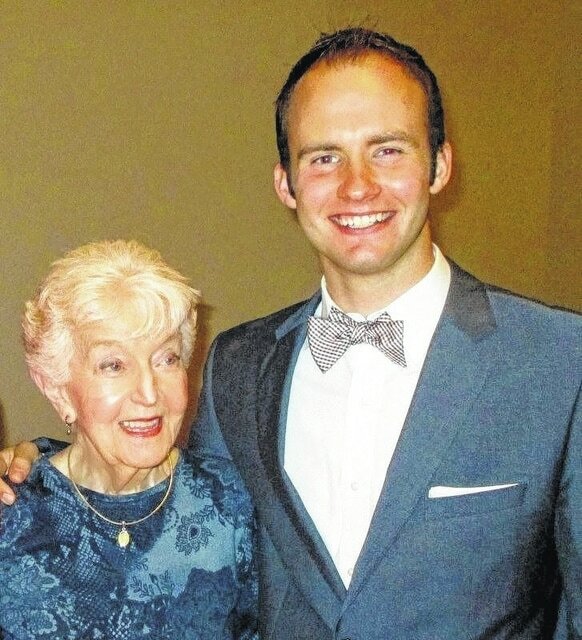 Pettit will perform his senior recital June 19 at 7:30 p.m. at Cornerstone United Methodist Church. Admission is free and anyone is welcome to attend. “I’m really excited to perform for my hometown and I hope everyone can make it out,” Pettit said.